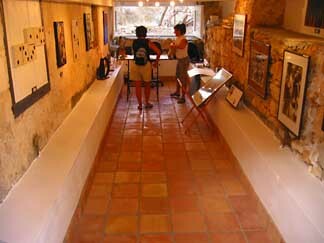 Anguilla is home to many art galleries. 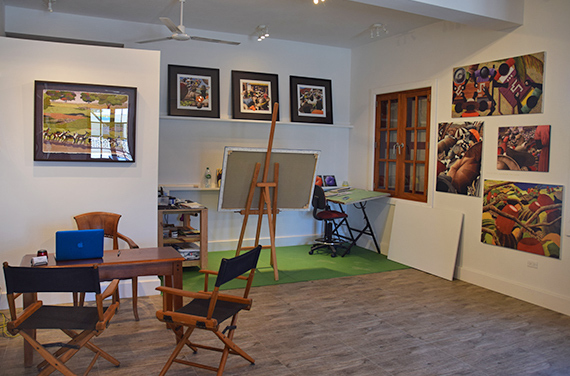 Filled with truly original, creative Anguilla pictures, sculptures and art of all kinds, studios/galleries abound in Anguilla. On just about every turn of the road, you'll see a gallery, or a sign pointing up a small dusty alley, ending in a working artist's studio. Drop in. You won't be disappointed. Each one holds different and special creations. We are always stunned by the exquisite masterpieces! Of course, if Anguilla is not a wonderful place to be creative, where is? 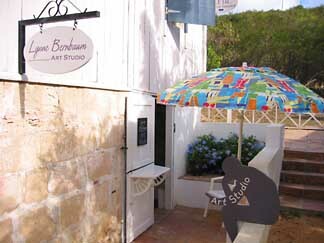 The studio is owned by Lynne Bernbaum, a charming, sweet lady from Texas. She fell in love with Anguilla during her travels to the Caribbean in the '80's. The dream never died. She moved to Anguilla a few years later in 1995, and has been living her dream ever since. 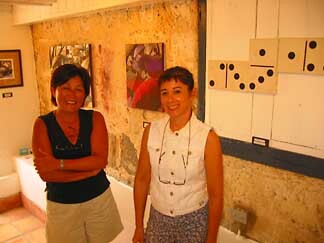 We fell in love with Lynne Bernbaum and her artwork on one of our very first trips to Anguilla, way back in 2004. 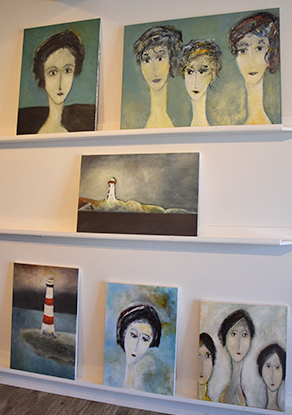 Back then, Lynne's studio was in a historic, stone cellar up the road from Sandy Ground. On every visit to Anguilla (before we moved to the island), my mom would be eager to go and see what new creations Lynne had conjured during our absence. My Dad and I enjoy her artwork, but my mom adores Lynne's Anguilla artwork, how she pictures Anguilla and how she captures the spirit of Anguilla so beautifully. It is no surprise that the only piece of artwork my mom purchased for our home is one of Lynne's! 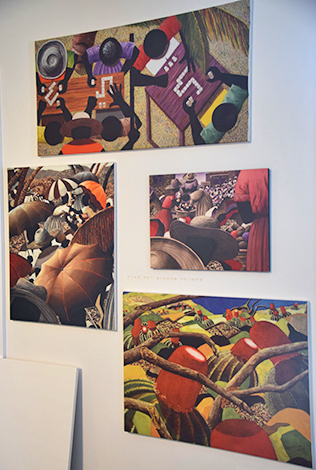 Ms. Bernbaum has a unique, award-winning style, with absolutely fascinating images of Anguilla. 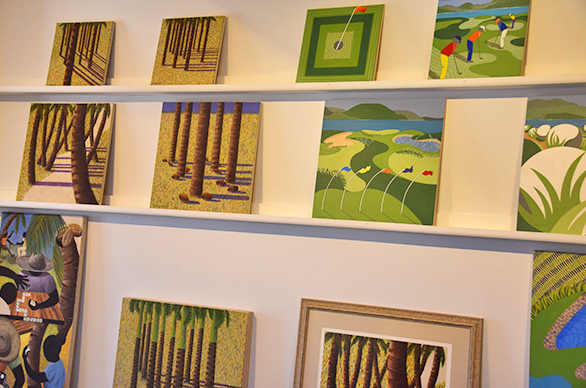 Since 2004, Lynne Bernbaum's studio has moved to George Hill, and later moved back to Sandy Ground in a chic-modern building. In 2018, Lynne moved into her new home, just down the road. 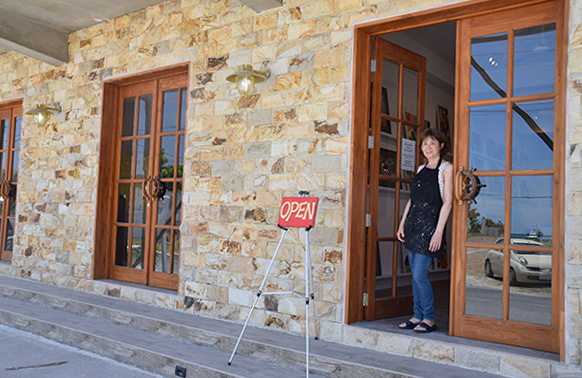 A rich, stone building, Lynne's beautiful studio now sits directly opposite Dolce Vita. A studio with great character, it is so reminiscent of those days in the early 2000's. 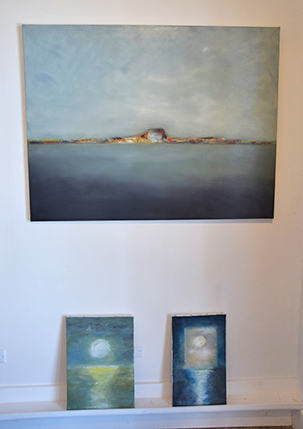 Also on display in Lynne Bernbaum's art gallery today are paintings from French artist, Nathalie Lepine. Best known for her dreamy moonlit landscapes and slight feminine portraits, Nathalie has worked in Paris, New York, St Kitts, and can now be found in St Martin. During your next visit to Anguilla, pay Lynne a visit. She's such kind lady who makes you feel at ease. Her "Anguilla pictures" beautifully capture the spirit of the island, evoking an original feeling that is distinctly "Anguilla". And... if you love creating Anguilla art, Lynne offers art classes. "Island painting with a punch," it is a fun way to get creative and hone your skills with an expert! For Lynne's contact info, see below. 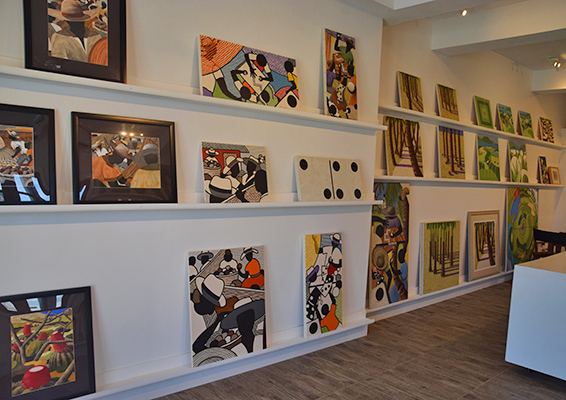 There is so much truly fantastic Anguilla art and "Anguilla pictures" (far above "Caribbean kitsch")! Keep your eyes peeled -- be ready to turn off the road at any moment for yet another treat for your eyes.